Alcoholism can destroy lives. Being addicted to alcohol can affect an individual in different ways that will eventually undermine the attainment of his/her potentials. Recognizing alcoholism as a problem is a significant step towards getting clean, and deciding to get help through a treatment center is another huge step. However, it is essential to choose the right treatment center. You have a good chance of finding an excellent treatment center in Denver as there are several of them. Here, we will help you with six tips that can help you to select the right one. The location of the treatment center will play a significant role in the result and the speed of recovery. While there are individuals that will prefer centers that are close to home, there are others that will prefer to stay far from home. Treatment centers that located away from city-centers may have some advantages. It shouldn’t come as a surprise to you that there are treatment centers that are operating without adequate certifications and license. Make sure that whatever center you choose is duly licensed and have staff members that are suitably qualified and certified to render appropriate care for alcoholics. Even though people may be hooked on the same substance, therapy will work differently with each person. Hence, it is advisable to choose a center that has personalized treatment plans for their patients. There is a need to work with a treatment center in Denver that has been in operation for months or years and have built a good reputation. A little research can always point you in the right direction about the status of any treatment center. As has been mentioned earlier, the treatment plan for different addicts will have to differ for the best result. You need to have an idea of the different types of therapies offered by the treatment center. The higher the number of treatment options, the better. Treatment for addiction is never complete without an appropriate aftercare program. No matter how effective treatment is, the chances of relapse still exist, and there is a need for an aftercare program that can help to keep it in check. Choose a treatment center that has active aftercare programs to keep you free from alcohol after your time in therapy. There you have it! The above are a couple of tips for choosing the right alcohol treatment facility in Denver. By selecting the right alcohol treatment center in Denver, you can be sure of getting the best possible care for your problem. There are many great centers, and the tips here can help you make the right choice. 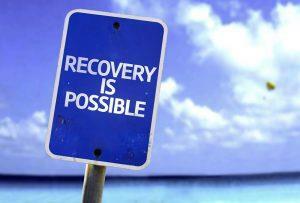 For more information about our treatment procedures, contact us today at Continuum Recovery Center of Colorado. Our deluxe alcohol rehab facility in Denver, Colorado is the ideal place to achieve sobriety.